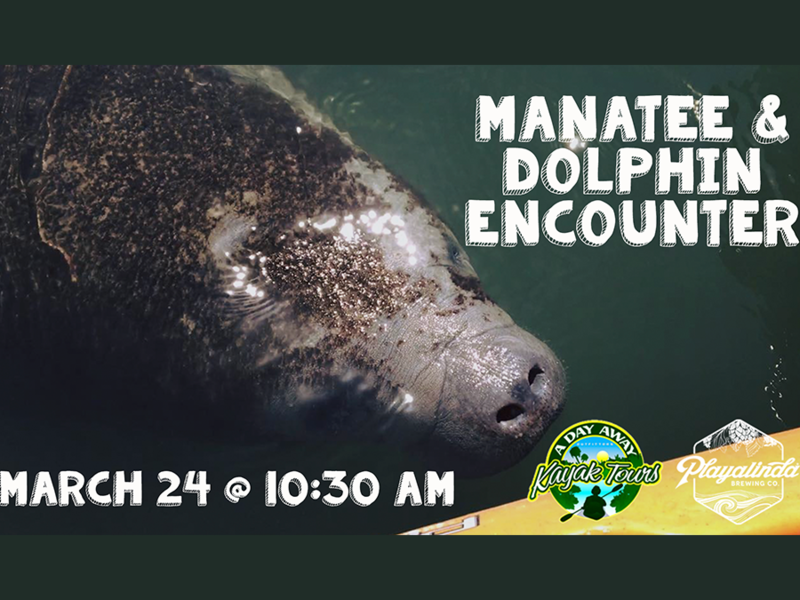 Manatee & Dolphin Encounter Paddle & A Pint - Playalinda Brewing Co.
Get up close and personal with some of Florida’s most personable wildlife! Join Playalinda Brewing Company and A Day Away Kayak Tours for a Paddle & A Pint taking in some of the most memorable characters in the Indian River Lagoon! Ticket includes a 90-minute kayak tour, followed by a Playalinda beer with your fellow paddlers at Playalinda Brewing Company – Hardware Store. 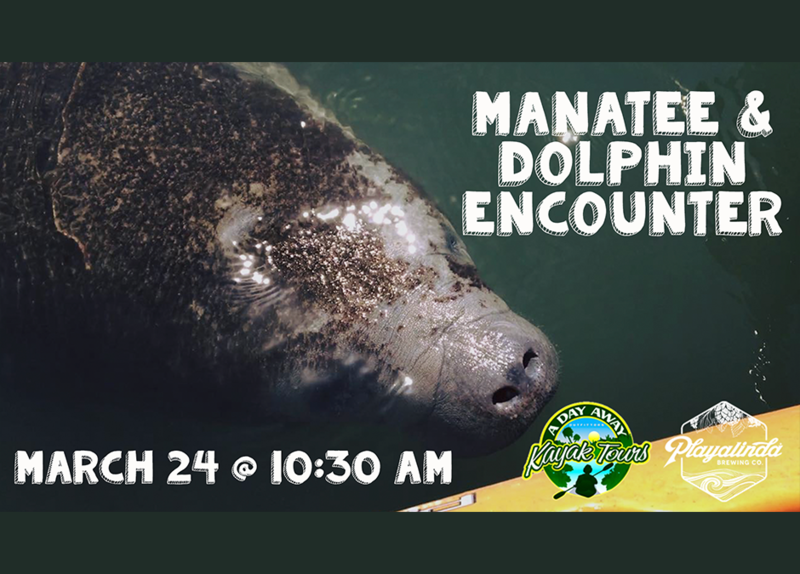 It’s an encounter unlike any other as you spend the morning floating gently in the endangered manatee’s favorite lounging spots on the Merritt Island National Wildlife Refuge. These friendly Florida herbivores just love to nuzzle, grip, and cuddle your kayak for a truly magical morning. The kayaking adventure continues with a search for playful dolphins, often fishing actively nearby. As if beholding these majestic mammals in their element isn’t enough, you’ll likely enjoy many other Florida natives including pelicans, osprey, roseate spoonbills, horseshoe crabs, and even the occasional gator. As visitors in the manatee’s natural habitat, you can expect to observe and study the famed Sea Cows. Keep in mind that we seek not to disturb, overwhelm, or disrupt the manatee’s natural behaviors, but rather let you experience them on their terms. Your voice may reach a new octave as you ooh and ahh, but you can be sure they’ll just keep doing their adorable and friendly (but curious) thing.